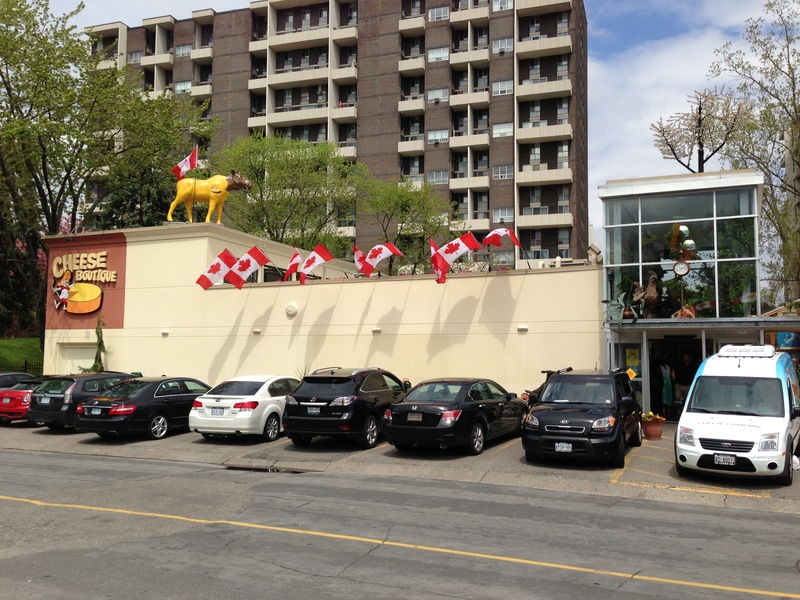 Cheese Boutique’s Festival of Chefs! Its a good thing I have friends who look out for me otherwise I would completely miss awesome events like Cheese Boutique’s 10th Annual Festival of Chefs! What a unique series of events – every weekend in May, the Cheese Boutique hosts a local chef from some of Toronto’s top restaurants who makes a dish inspired by the theme of the day. In addition, a local vineyard is also invited to pair the dish with one of its wines – and this past Saturday it was Hidden Bench from Beamsville and the Chef was Chef Sam Gelman from the infamous Momofuku! And all for $5 that goes towards the Famous PEOPLE Players. Ever since I heard rumours of Momofuku coming to Toronto, I knew I had to add it to my restaurant bucket list – although I did go to Momofuku Milk Bar when I visited New York City last December 🙂 I haven’t had a chance to dine at Momofuku TO yet so this was my first taste of what I can expect. 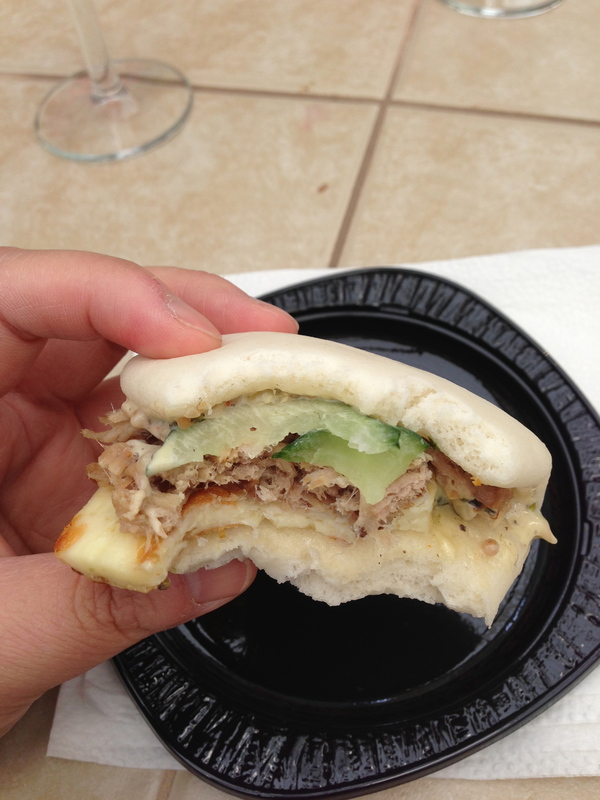 The steamed bun stuffed with pulled pork shoulder, griller guernsey girl cheese and topped with slices of cucumber – it was absolutely delicious! Steaming the bun gave it a soft and delicate texture and the grilled guernsey girl cheese completely reminded me of the texture and saltiness of saganaki. I did walk around the store afterwards and well, $40 later, I came out with three different cheeses, some pastries and an iced coffee to sip on my way home! 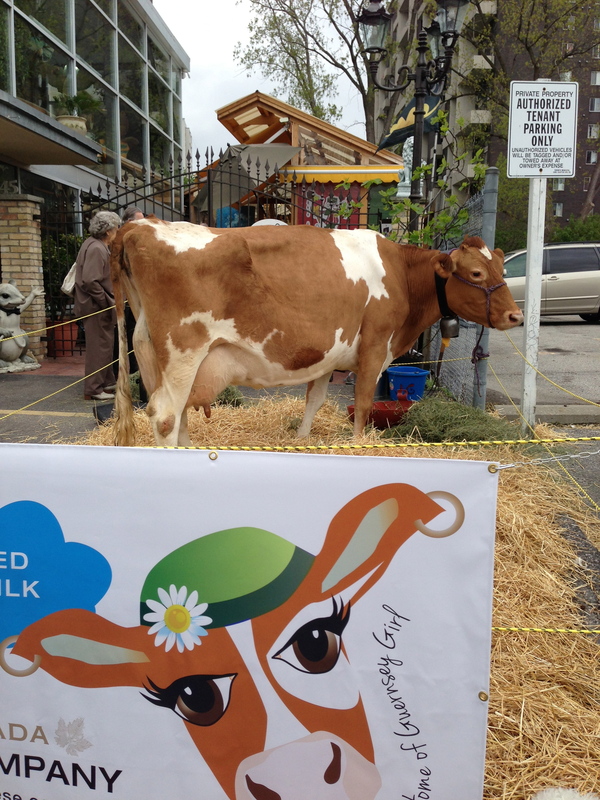 Theme of the day: Guernsey Cow and the milk used to make cheeses. 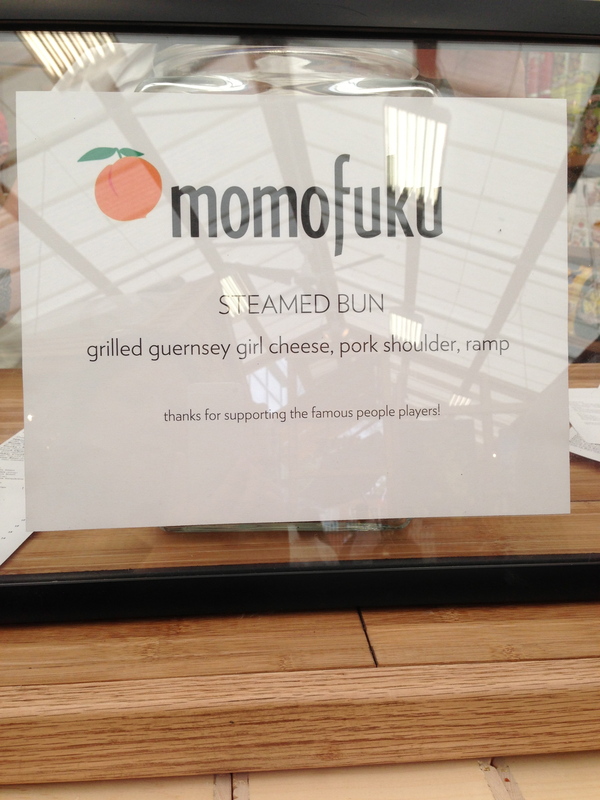 The chef today was Momofuku’s Sam Gelman and his steamed bun. 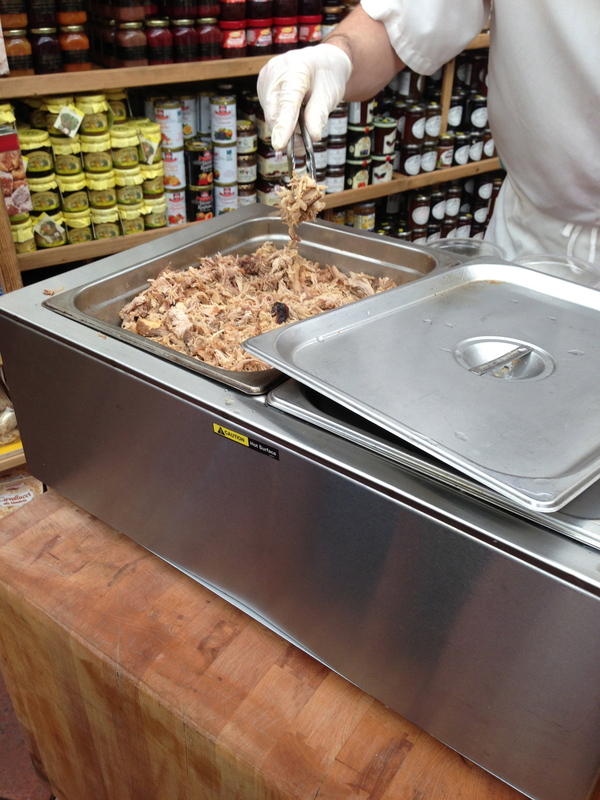 The filling for the steamed bun: pulled pork (i.e. pork shoulder). 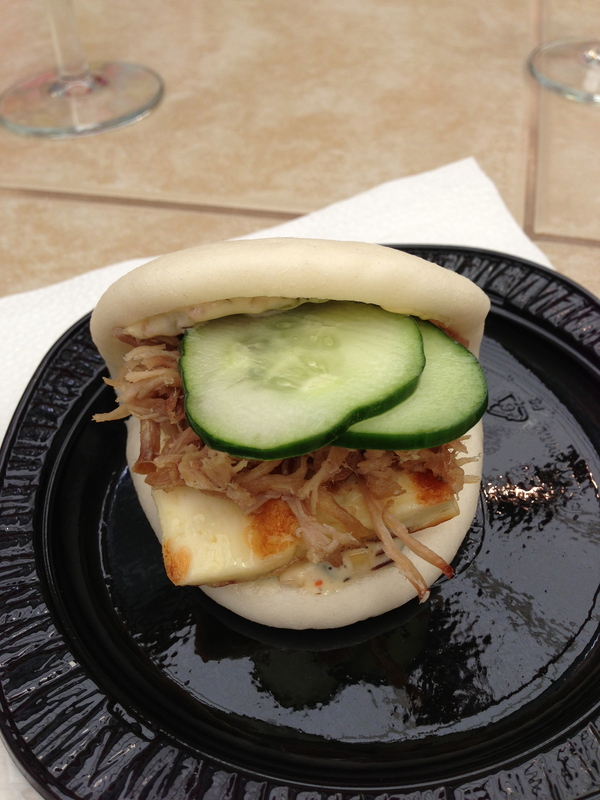 Momofuku’s steamed bun filled with pulled pork, grilled guernsey girl cheese and cucumbers. YUM! 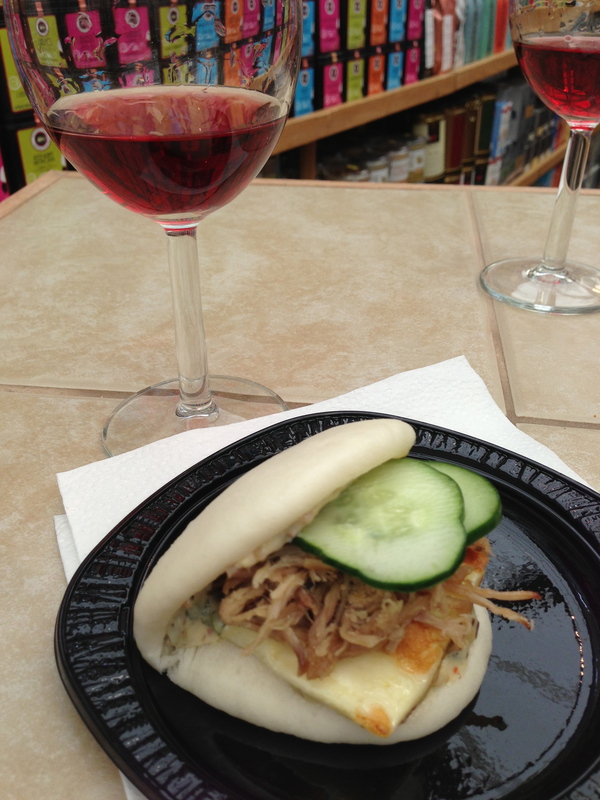 Enjoying my steamed bun with a glass of rose from Hidden Bench Wineries. Taking a bite out of the steamed bun – it was moist and delicious! 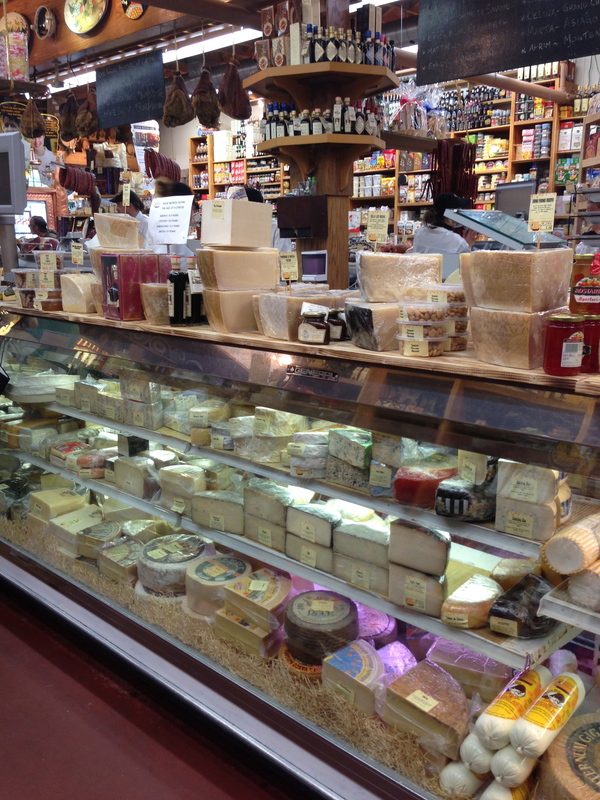 Inside the Cheese Boutique – heaven! Look at all that cheese!